Offering you a complete choice of products which include large office cross cut shredder, power shred cross cut for 3 users, desk side strip cut shredder, desk side cross cut shredder for 3 users, deskside cross cut shredder and professional strip cut shredder. We have marked a distinct and dynamic position in the market by providing a high-quality array of Power Shred Cross Cut for 3 Users. 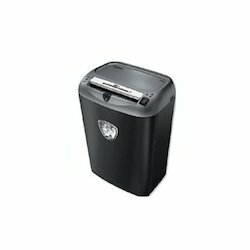 Our offered shred is availed in a variety of sizes, designs and other such specifications to choose from. The offered shred is precisely designed at our highly advanced wholesaling unit following industry defined guidelines. 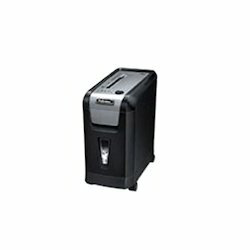 The offered shredder can also be availed from us at the industry leading prices. 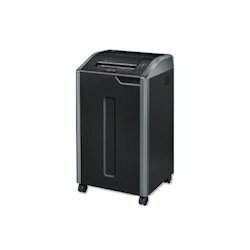 Since our inception, we are instrumental in offering premium quality Desk side Strip Cut Shredder. Besides being wholesale from high-grade raw material and latest technology, the offered shredder is inspected properly by our expert professionals. 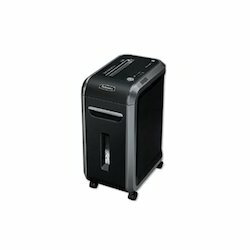 Owing to features like durability and sturdiness, the offered shredder is exceptionally valued by our precious clients. 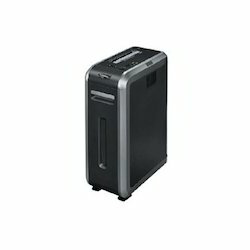 The provided shredder is available with us in various sizes and shapes at affordable price. With the help of our team of adroit professionals, we are indulged in offering a wide assortment of Desk Side Cross Cut Shredder for 3 Users. 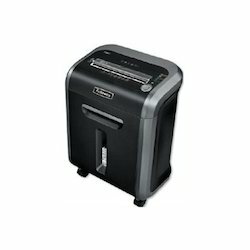 Being a quality-oriented organization, we assure our clients that this shredder is best in quality. Our skilled professionals only utilize fine quality raw material, while wholesale the entire range. Moreover, our offered shredder can be availed in a wide range of specifications, as per the requirements of our esteemed clients. 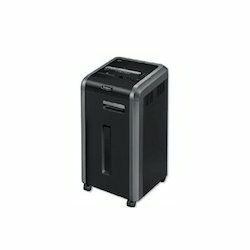 Looking for Fellowes Shredders ?